Dropping the hook in Turtle Bay (Bahia de Tortugas) will be a welcome relief after 3 straight days of sailing on the first leg. With the arrival of the Ha­Ha fleet the sleepy little fishing village comes alive. 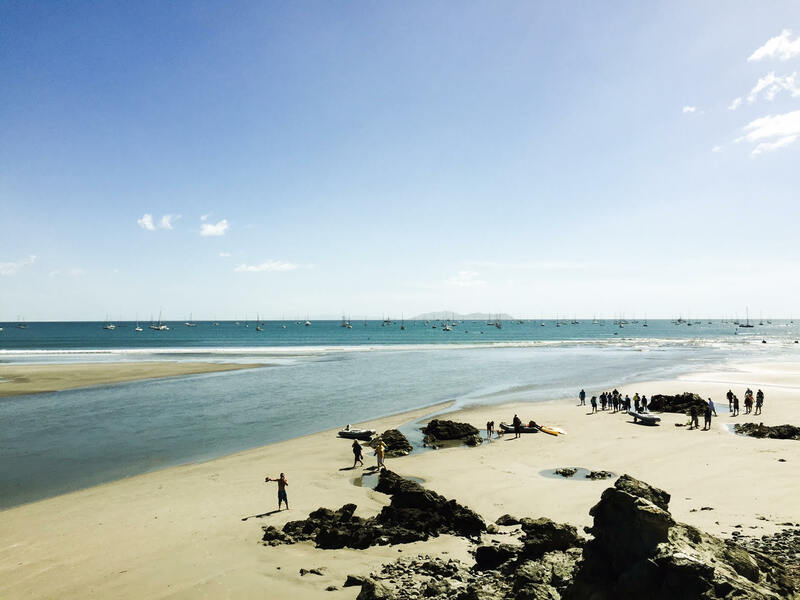 Locals are ready with fuel, food, and cervezas for their seafaring visitors. Bahia Santa Maria ­ ¡Dos! What this bay lacks in conveniences, it makes up for in rugged beauty. Feast your eyes on Bahia Santa Maria’s spectacular views, but don’t expect to find much else. There is nothing here. Make sure you’re fully stocked before you leave Turtle Bay. That of course, doesn’t stop the Ha­Ha. They have food, beverages, and a rock and roll band trucked in from who­knows­where just for the occasion. Anchoring at Bahia Santa Maria is a piece of cake and there is plenty of room to anchor the entire fleet. Cabo San Lucas Anchorage ­ ¡Completo! 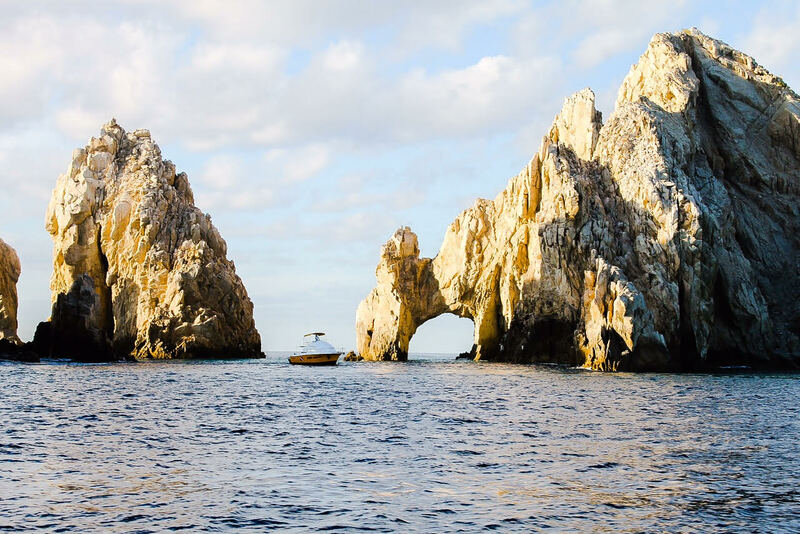 There is something very special about rounding the cape and seeing the El Arco (The Arch) at Cabo. This incredible natural formation is your reward for two weeks of intense sailing. The Cabo anchorage is most inviting in the morning when the warm turquoise water is nice and calm. By the afternoon, stronger winds coupled with constant commotion from jet skis and pangas make for an uncomfortable stay. Keep your fingers crossed for a slip if rolly anchorages aren’t your thing. I Can’t Believe We Cheated Death Again! It’s not all a party once you get to Cabo. Shuffle through town with the rest of the fleet to clear into Mexico. Once business is taken care of, you can trade in your walking shoes for your dancing shoes, and celebrate how all of your planning and preparation has paid off with the famous “I Can’t Believe We Cheated Death Again” party at Squid Roe. And You’ve Barely Scratched the Surface! You’ve reached the gateway to one of the world’s finest cruising playgrounds. Now you’re stuck deciding whether to head north for the red­-rock painted-­desert landscapes in the Sea of Cortez or to set sail south towards the lush jungle­ paradise on Pacific Mainland Mexico. Want to take advantage of the knowledge Mexico cruising vets? Build your free custom cruising guide for the Baja Haha using Anchorage.io, then export it to your iPad or print it before you leave the dock.